The results are in – natural, ‘homey’ kitchens are out, and modern, contemporary styles are in, according to the National Kitchen and Bathroom Association. In a report looking at the hottest kitchen design trends, 2015 is all about colour. But not just any colour – we’re talking truly mouthwatering hues like rich dark chocolate, juicy peach, and creamy avocado. And it seems these yummy colours are so appetising that we’re not stopping at just one. There’s a real up-and-coming trend for ‘doing colour blocked kitchens, using two different colours in the same kitchen’, cites the recent report. 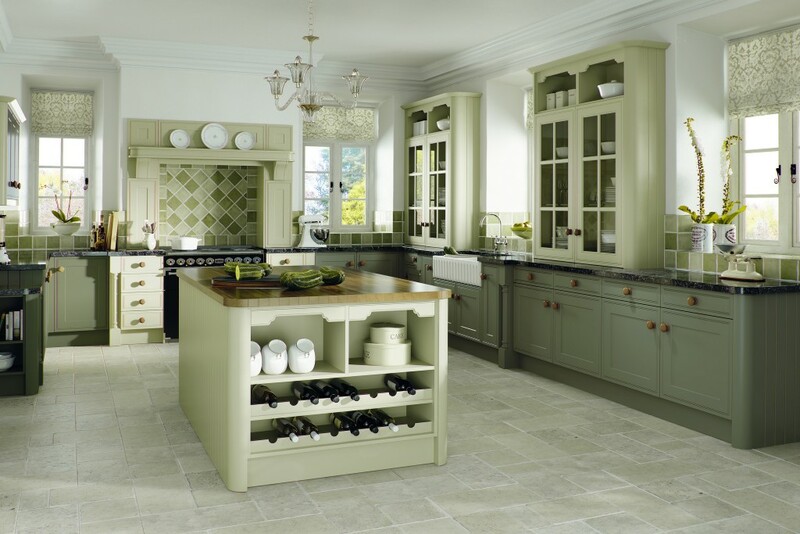 So what are the most delicious shades that are transforming kitchens into succulent retreats this year? Whether it’s Mary Berry or Jamie Oliver, as a nation we’ve fallen head over heels for celebrity chefs, and the average Brit now spends more than 5 hours per week trying to whip up their own tasty treats. So what does this mean? It means kitchen extensions. Kitchens are becoming bigger and bigger, and darker colours like aubergine purple – which would have been a nightmare for a small room – are now finding their way into the kitchen. Gloss and matt – both types of this deep purple are here to stay. There’s no denying that 2015 is the ‘year of yellow’. In the fashion world, we’re seeing an influx of mustards and maizes, and bananas and butterscotch, but in the interior design world it’s all about saffron yellow. We’re just mad about saffron – a slightly warming shade of a colour that many of us associate with brightness, positivity, happiness and optimism. 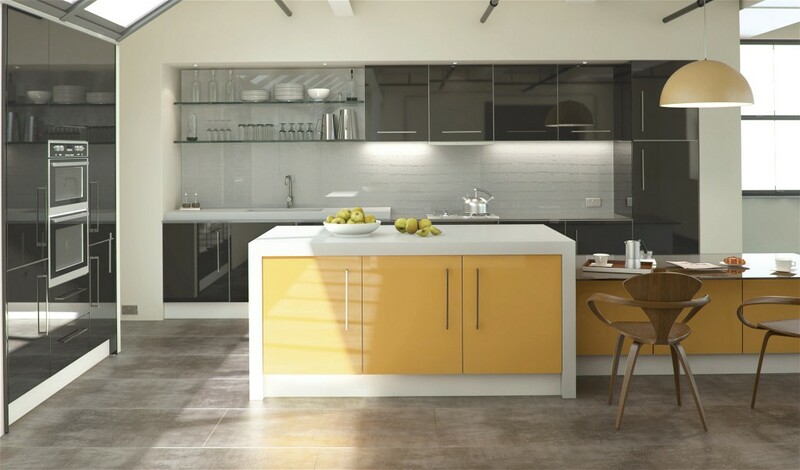 As more and more of us start opening our kitchens up to be a place for socialising, saffron yellow is becoming 2015’s must-have hue. Much more understated than vivid aubergine and sunshine saffron, olive green takes us back to basics – to a rustic, country kitchen complete with an Aga and whistling kettle. But isn’t tradition out when it comes to kitchens? Not entirely. ‘An eclectic mix of rustic and contemporary is today’s modern’, according to the NKBA report, which means we’re seeing minimalist, gloss white countertops paired with ‘provincial’ colours like dark olive greens which add a striking touch. Whether it’s a deep wine red, a welcoming mango, or a vibrant orange, we simply can’t get enough of delectable kitchen colours this year. And the good news is it seems colour is a trend that’s here to stay. Once reserved solely for feature walls, colour is definitely on track to take over gloss whites and greys as the best-loved interior design theme. So what will you pick from the colour menu?